Affinity is personal and emotional. Without personifying the company and what it symbolizes, it's difficult for customers to connect with your brand. The concepts from this book can help your brand engage in a way that inspires communities to extend your message, promise, and reach. Social media is changing everything about the way people relate socially, in commerce, and in politics. Engage! gets you up to date regarding current trends and technology, and shows you how to build a serious social media strategy. It's the real deal. It's no longer an era of business as usual. Executives and entrepreneurs must embrace new media in order to not only compete for the future, but for mind share, market share, and, ultimately, relevance. 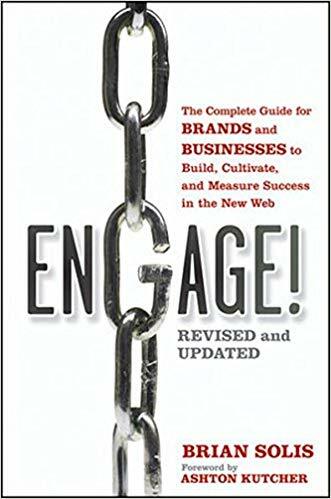 This book helps you engage. Without it, you're competing for second place.